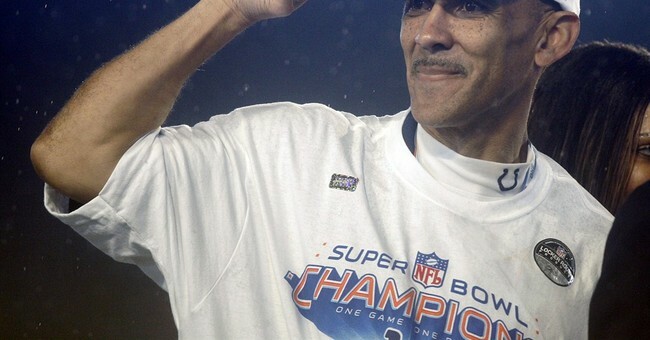 Hall of Fame football star and former Tampa Bay Buccaneers coach turned NBC analyst Tony Dungy is coming under fire for crediting Eagles quarterback Nick Foles's faith for his big Super Bowl win. Foles, who was the team's backup quarterback after Carson Wentz's season ending injury, said "all glory to God" after beating the Patriots. Viewers took issue with Dungy using NBC to spout such "nonsense." Others took issue with his analysis, but he stood his ground. Following the Eagles' historic victory Sunday, their first Super Bowl win, several players joined Foles in giving all the credit to God. “I can only give the praise to my Lord and Savior Jesus Christ for giving me this opportunity," Head Coach Doug Pederson said to the packed stadium. “Glory to God first and foremost,” Wide Receiver Zach Ertz agreed. Foles has shared his plans to become a pastor when he retires from football.